열차 방화관련 유럽규격 EN 45545 은 7개 부문의 하부규격으로 구성되어 있습니다. It contains the principal terms and definitions and general regulations governing the classification of rail vehicles in operational and design categories, as well as fire safety objectives. 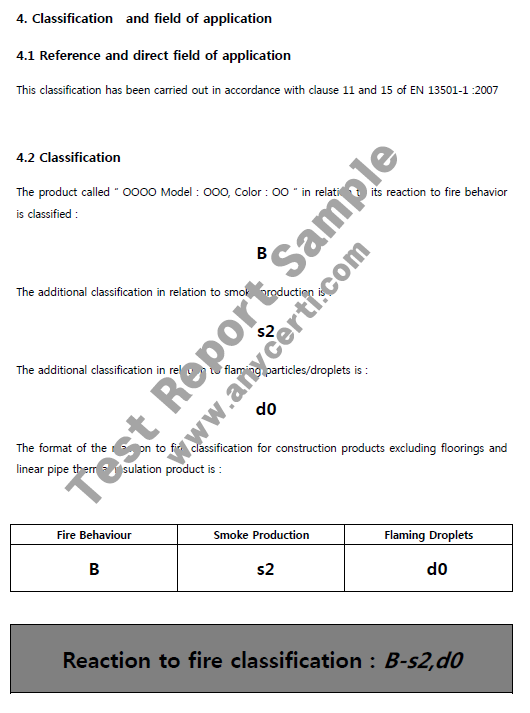 It describes the requirements for the fire behavior of materials and components. It covers the fire resistance of fire doors. It contains fire protection requirements for the constructive design of rail vehicles. It specified for the fire protection requirements of electrical equipment, including that of trolleybuses, track-guided buses and magnetic levitation vehicles. It describes the required fire detection and alarm systems, fire-fighting equipment and accompanying fire protection measures. It deals with the fire protection requirements for plants and equipment for flammable liquids and gases. Part : Classification Using Date From Reaction To Fire Tests. 이시험은 건축자재에 대한 화재관련 시험입니다. Most construction products sold in Europe will shortly need to be tested and classified using SBI Method (=Single Burning Item).